Welcome to Ruatiti Station accommodation for the Bridge to Nowhere. We cover all types of accommodation from luxury Lodge accommodation to backpacker cabins and camping. Our luxurious Rural Station Lodge is totally refurbished to the highest standard, offering rustic, chic, comfortable accommodation, with 3 spacious bedrooms with en suites as well as 6 king single bunk beds in a beautiful large room. Sleeping 12 guests comfortably. Enjoy idyllic rural setting with views of the surrounding hills while enjoying a BBQ on the deck or a beautiful meal at the large red wood table. We also have two cabins, one sleeps 8 people and the other sleeps 4 with showers & toilet facilities, and a cozy fireplace in the communal area. Located 1km from the Bridge to Nowhere track, the beginning of this track runs through our station. 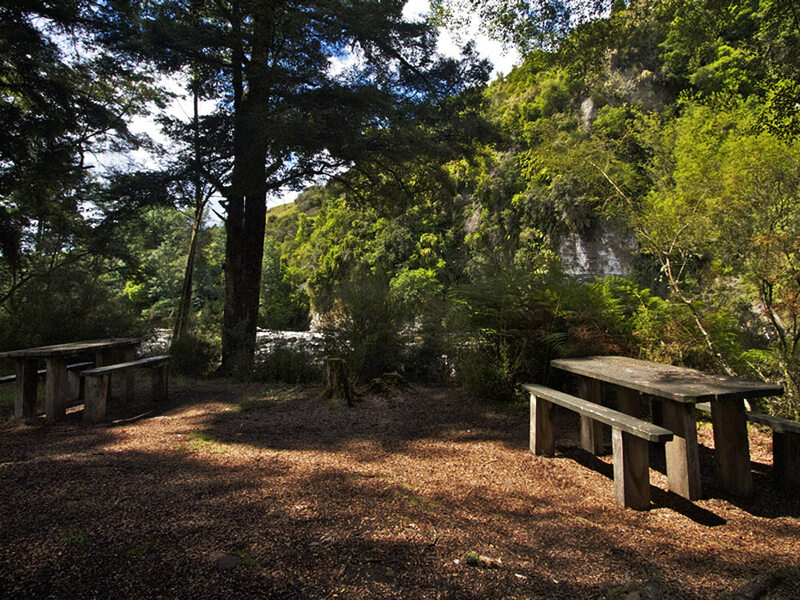 There are plenty of adventures on our station and in the surrounding vicinity such as bush walking, picnics at the Domain (11km back down the road), The Bridge To Nowhere or viewing the native Blue Duck (Whio).